Suguru and Taichiro are design students that came all the way from Japan to grace me with their trig style. 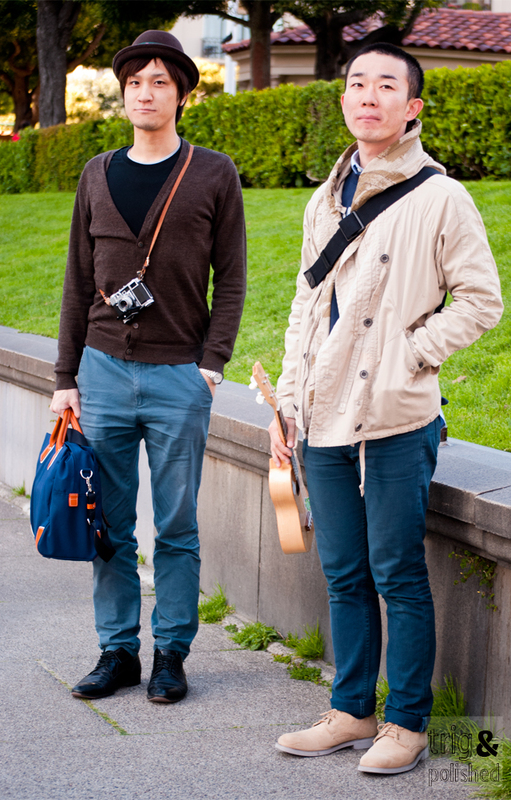 I ran into these two fashionable men on California Street, right after passing by a movie set. You would think that I’d be scouting the set for celebrities but instead these two caught my eye. The outfits certainly qualify as trig and polished, but the accessories are what really sealed the deal. A ukelele and a vintage Leica camera. Nothing is more trig than men with great fashion sense and creative interests. Thanks Suguru & Taichiro!